When the heathland north of Bexley Village was enclosed in 1814 and divided amongst the parish freeholders, John Smith of Blendon Hall, a wealthy banker and MP, received several plots. On one of these he built Market Place in 1830. It was intended as a market house with stalls for merchandise, but it later had a variety of uses (Sunday School, mineral water factory, motor garage, DIY shop). 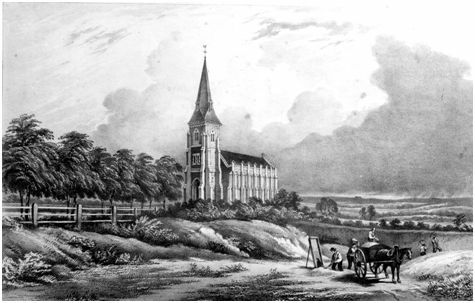 John Smith, also owner of the Golden Lion public house, donated another of his plots for the building of the Anglican Chapel-of-Ease. Part of the parish gravel pit had to be filled for a level path from the main road to the chapel door. 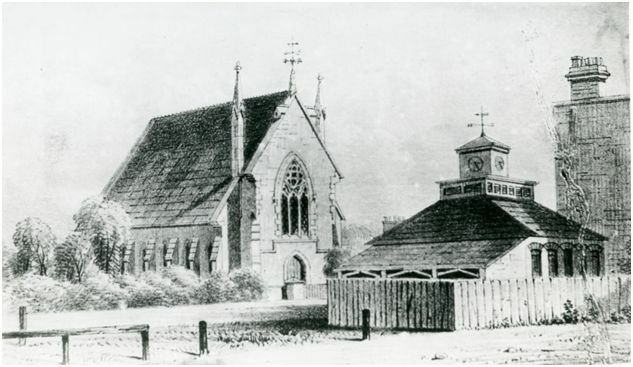 When the foundation stone was laid in 1835, local children had tea at the Market Place. Market Place survived until 1989 when it was destroyed by fire. The Chapel of Ease was demolished after a new Christ Church was built in 1877, although its graveyard can still be seen: today it is a memorial garden for civilians who died during the Second World War, next to the Bexleyheath’s War Memorial.